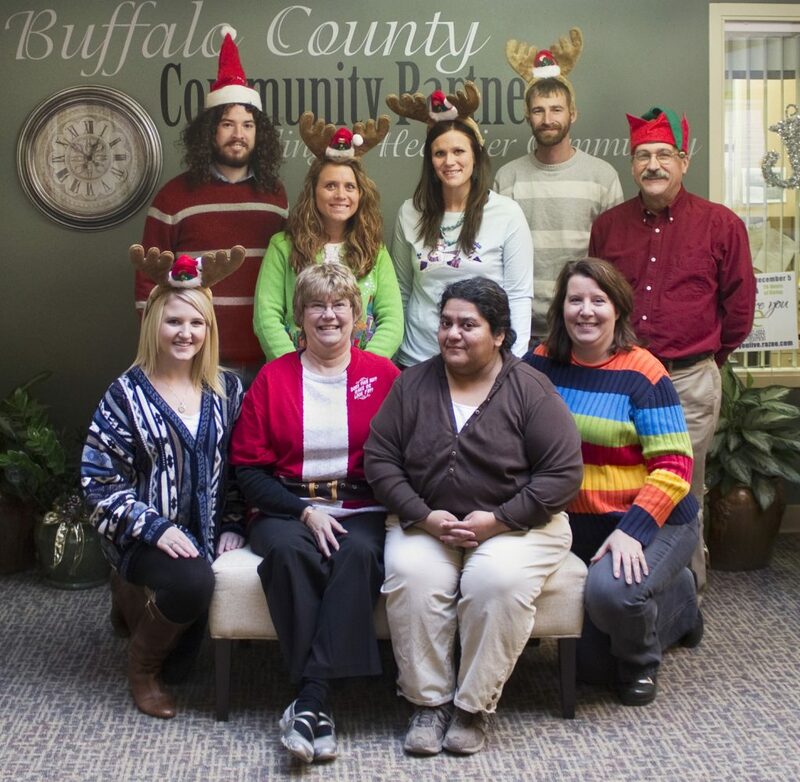 Season’s Greetings Community Partners Staff! The year has flown by, and so many of great things are happening in our community. We want to reach out and thank everyone in Buffalo County for making our community the strong, gracious, and fruitful (among so many other things!) home that it is. Whether you’ve volunteered your time, provided financial support, donated in-kind resources, given us words of encouragement, or helped in any way, you’ve helped Build a Healthier Buffalo County. Front row (from left): Intern Morgan Kristensen, Executive Assistant Ann Huffman, CHAT/Health HUB Coordinator Jessie Perez, and Executive Director Denise Zwiener. Back row: Marketing Coordinator Holden Armstrong, Data Coordinator Ariane Aten, Community Coalition Coordinator Tana Nelsen, Safe Routes to School Coordinator Dusten Vermeire, and Youth Coordinator Mark Foradori.